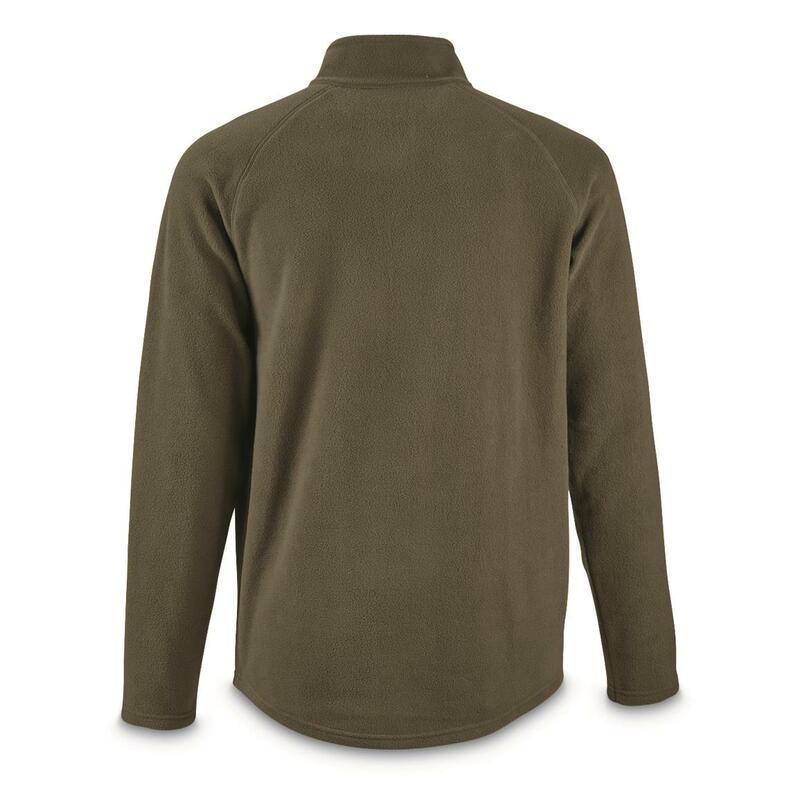 This versatile Fleece pullover top brings soft, moisture-wicking warmth you can wear two ways. Layer it under your gear while banging out chores in the yard or hanging out in the field in freezing temps. Or wear it on its own while hanging around the house or heading into town in fall. Raglan sleeve construction allows for easy range of motion, and the anti-pill micro-fleece style keeps a top appearance even after multiple washings. Keep warm in this Fleece Base Layer Top! 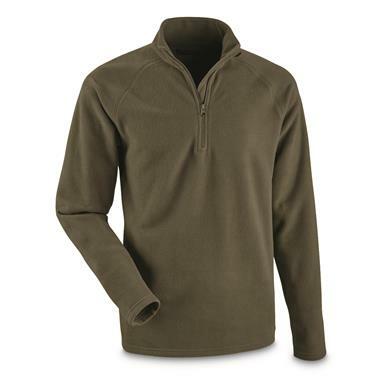 Guide Gear Mens Heavyweight Fleece Base Layer Quarter Zip Top is rated 4.5 out of 5 by 6. Rated 4 out of 5 by Goatman from Thick fleece About 200 wt. fleece. Well made and well sized. Wish it had a little snug fit to stop drafts and thumb holes for easier layering. Otherwise a solid product. Rated 5 out of 5 by moses from well made size runs true, thick material.sleeves are a little long because of the thumb hole i guess.i have the crew and pants/ love them. sold out fast. would like to have the zip top to but i was to late to order. Rated 5 out of 5 by CPTaMerica from Compare with ECWCS layer 3 Civilian version of military issue. Nothing else needs to be added! Rated 4 out of 5 by Anne from Good weight My only real concern is that this piece is a "snug fit"/ It would be nice it this were more full fit or form fit. But, overall, I think this will serve the purpose...warmth.